A former tenant fired 11 shots through the window of a suburban New York home, killing a popular equestrian and wounding the man’s partner before fleeing to Tennessee, where he was arrested earlier this week, a prosecutor said Friday. 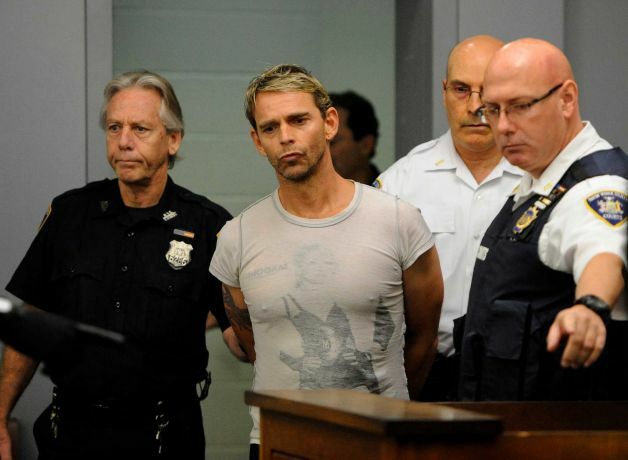 Brett Knight, 45, was ordered held without bail after pleading not guilty to a second-degree murder charge in the Sept. 24 killing of Ross Reisner in Setauket, a rural community on eastern Long Island. Assistant District Attorney Rafael Pearl said Knight told authorities he fired the shots that killed Reisner and injured Kevin Murray, but defense attorney Michael Brown said was dubious whether the statements would or could be admitted at trial. Knight was previously charged in an alleged aggravated harassment case involving Murray, but was not arraigned in that case on Friday; prosecutors did not explain why. Brown said Knight, a former American Express employee, had been friends with both Reisner and Murray for nearly two decades. “There is really no incentive or motive to cause any type of injuries to them,” the lawyer said. Knight, who is originally from Midvale, Utah, and graduated from Brigham Young University, settled a lawsuit filed in 2009 against American Express, Brown said, but added he did not know specific details about that case. A New York Post report at the time said Knight claimed he had been improperly fired after executives learned he was HIV positive. American Express spokeswoman Marina Norville said Friday that Knight was terminated as part of a company-wide downsizing. She had no comment on the lawsuit. Brown refused to answer reporters’ questions about the harassment case involving his client and Murray. “Suffice it to say those issues were favorable towards our side,” he said. Knight was arrested Wednesday in Tennessee by Suffolk County, N.Y., homicide detectives and U.S. marshals. A news release from the Marshals Service in Knoxville, Tenn., said Knight was taken into custody in a house in Seymour and that officers had recovered two handguns. Authorities have yet to say if either of those weapons may have been used in the Sept. 24 shootings.